Can Dr. Groover’s Chiropractic Help with that Troubling TMJ? Gently place your hands on your face in front of your ear lobes. Now open and close your mouth. You can undoubtedly feel your temporomandibular joint (TMJ) moving as you open and close your mouth; the joint connects your upper and lower jaws. Many Americans experience some sort of temporomandibular-related pain or even a temporomandibular disorder (TMD). The National Institute of Dental and Craniofacial Research (NIDCR) estimates that 10 million Americans have a TMD, which is often referred to by non-medical professionals as “I have TMJ” or “I have a TMJ problem.” About 2/3 of Americans may experience one or more symptoms of a TMD/TMJ problem. Dr. Groover of Boulder’s premier chiropractic clinic is here to explain how chiropractic care is a practical treatment option for this common yet painful and lingering condition. 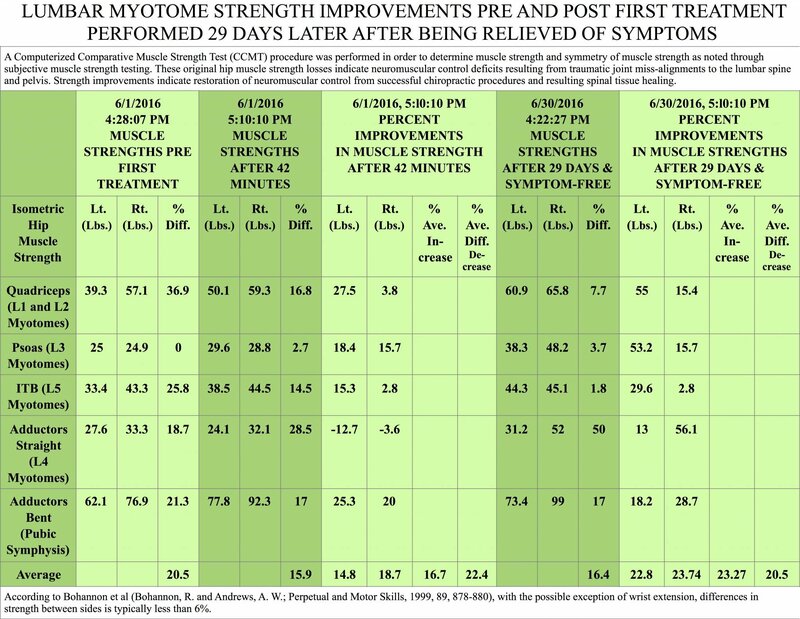 Dr. Groover’s sequential approach to TMD is diagnosing and treating the joint mechanical problems causing the neurological problems which result in muscular problems. Dr. Groover’s comprehensive chiropractic care for your TMJ eases pain by correcting directly your TMJ misalignments, but doing so after some careful preparation. Your chewing muscles receive their nerve supply from what’s called the trigeminal nerve. This is a cranial nerve originating at the base of your head, which is sensitive to misalignment at the upper cervical region where your head joins your neck. Diagnosis and treatment of this misalignment comes first. The alignment and stability of your pelvis, low back, upper back, ribs and lower neck comes next, followed by your shoulders. Ideally every joint in your body should be aligned and stable to remove all causes and complications for TMJ dysfunction. After joint correction and stabilization, jaw dysfunction related trigger points are best treated with neuromuscular acupuncture followed by administering muscle compression and muscle stretching. Dr. Groover explains misalignment of the jaw that results from improper posture or a back problem can cause your TMJ disorder. Misalignment of your upper cervical spine causes high and low hips, shifting of your pelvis and upper back away from your center of gravity, poor weight balance between your right and left standing body weight and unequal leg lengths. Upper cervical correction eliminates these postural distortions. An approach to treating TMJ caused by misalignment in your neck and upper back is to perform adjustments on your spinal joints in these areas. In addition, trigger point therapy is used to relieve tight muscles in the back around your spine. This reduces the amount of stress put on your jaw so other treatments to adjust the jaw will be more effective. When these treatments are employed, the motion of your jaw joint improves and symptoms like ear pain, jaw locking, headaches and neck pain are reduced, the doctor continued. If you’d like to be seen for a comprehensive TMJ consultation, please review Dr. Groover’s Boulder chiropractic clinic online or give us a call at (303) 442-7772. We’re happy to assist and offer x-rays and more to make the process easier and more seamless for you. 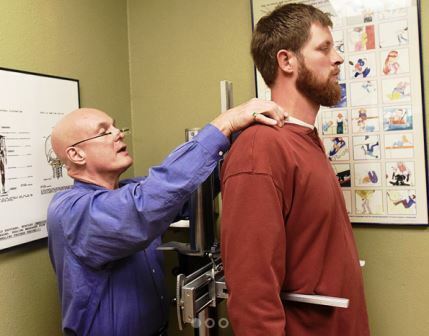 It’s not unusual for Dr. Groover of Boulder’s Groover Chiropractic Clinic to hear a patient’s long list of symptoms. New patients usually come to Dr. Groover with their primary complaint and a long and diverse list of symptoms and abnormalities, each with their own etiology (the cause, set of causes, or manner of causation) and complication (secondary disease or condition aggravating an already existing one). Do you have neck pain? Is it chronic from no apparent specific cause, or the acute effect from a specific recent injury? Has your neck, without you knowing it, degenerated over time into arthritis? Have the ligaments in your neck been recently injured? What role does upper cervical (base of your head and upper two neck vertebra) misalignment play, what role does postural distortion play? What about your shoulders, ribs and upper back? What about the structure and function of your pelvis? Your knees and ankles? Where do we start? To what extent will specialized upper cervical specific chiropractic diagnosis and treatment be needed? Do you suffer from migraine headache? Is it coming from your head, your neck or your body chemistry? How can we find out so we know where to begin, what other priorities to consider and what expected results will be? What types of migraine relief can we offer? Do you need help with sleeplessness and fatigue? Is your sleep disturbed by pain, and can the problem be solved by alleviating your pain? Do you have misalignments of your upper cervical spine and pelvis impairing your parasympathetic nervous system and stimulation driving your sympathetic nervous system into “fight or flight,” upsetting your feelings of safety and security, relaxation in body and mind and your ability to sink into deep restorative rest? How much do your diet, nutrition and lifestyle habits contribute to your sleeplessness? Is your back pain general or specific, acute or chronic, idiopathic (of unknown origin) or from a specific injury? Do you have hidden postural abnormalities contributing to your back pain? What about pelvis misalignments? How much does misalignment of your back vertebra or your rib cage have to do with it? Do we begin by treating your back, or will it be necessary to eliminate your postural distortion or pelvis misalignments first to eliminate complications to the diagnosis and treatment of your back? Have you been in a car accident? Are you aware of the immense forces which pass through your body even during “low impact” car crashes? Did you know that car crashes usually cause wide-spread, whole-body injuries, including underlying structural and functional abnormalities which manifest as symptoms weeks, months or even years later? Do you know that car crashes frequently cause life-impairing neck ligament traumas, the location and severity of which are only detected through specialized diagnostic testing? Dr. Groover offers free global screening consultations and his staff is happy to answer any questions you may have. For more information, please visit his Boulder chiropractic clinic online or give them a call at (303) 442-7772. Brief history of your chief complaint including pertinent lifestyle, injury and health condition information. Structural and functional screening of your joints, muscles and nerves for holistic evaluation of your area of complaint for obtaining the clinical impressions he needs to offer you a comprehensive treatment plan specifically addressing the causes and complications associated with your condition. Doctor’s clinical impressions of your history, signs and symptoms with predictions about the causations and complications for your condition. Proposed individualized treatment plan, not only addressing your chief complaint, but also the other structural and functional abnormalities detected during your screening. Dr. Groover’s ultimate goal in treating any patient is to restore structure and functionality of the spine and extremity joints first as the basis for successful, immediate symptoms of relief and cumulative attainment of their higher health, wellness and life goals.